These interview skills eBooks will help you to be successful in your chosen career. Whether you're looking for a new job, facing an interview or trying to get your career back on track, there is something here to help. This eBook explains what you can expect if you attend a management assessment center. Select from our wide range of free interview and professional development resources. This eBook explains how to prepare for a management level interview. This eBook explains how to answer competency-based interview questions. This eBook explains how to succeed in management interview exercises including: in-tray, presentations, group discussion, role play, and media interviews. This eBook explains how to succeed at the management aptitude tests that often form part of the job selection process. This eBook explains how to succeed in the personality tests that are used as part of the management recruitment process. Choose from our comprehensive selection of free decision making resources. 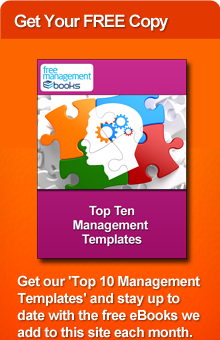 Select from our wide range of free team management resources.